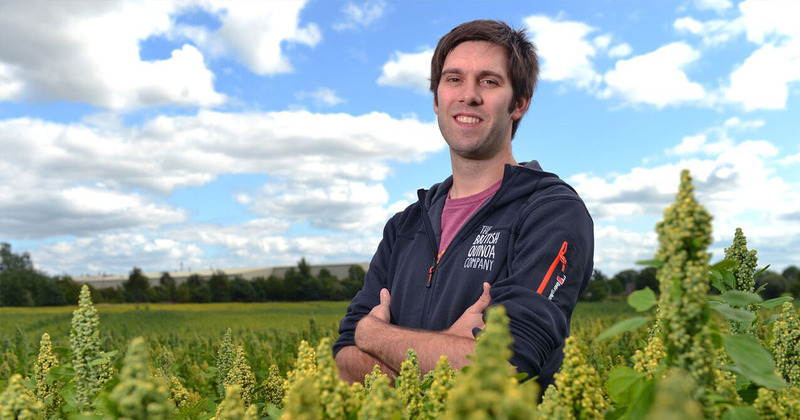 A Nottingham Uni graduate is growing quinoa in the UK, and is aiming to make the grain a British dietary staple. It’s the superfood your vegan friend won’t stop going on about – and even though it’s an acquired taste for some, quinoa has taken over supermarket shelves in the last few years. Now one enterprising grad is bringing the grain closer to home, after an idea he hatched at uni has grown into a fully-fledged business favoured by high-street chains such as Pret a Manger. Hi Stephen. We thought we’d start with the obvious question: how do you pronounce it? I normally say it “kwin-oh-ah”. You can of course say “keen-wah”, but I tend to go for the anglicised version. When I started off, nobody put on the packet how you pronounce it – so I just went with my way and it stuck. I’m happy for people to say it however they prefer though. 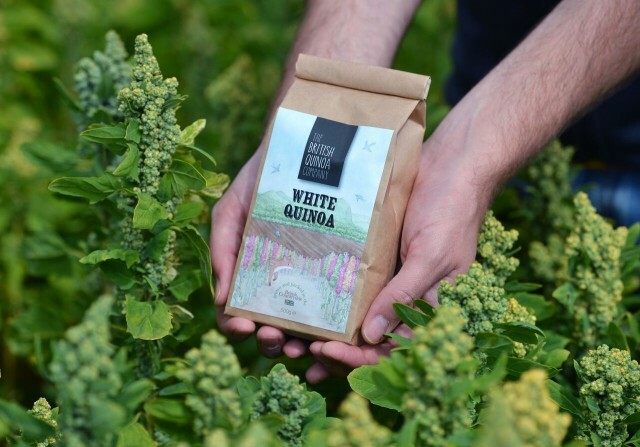 What gave you the idea of growing quinoa in the UK? I first tried quinoa because I’m a vegetarian, so I was looking for something with a lot of protein in. I really liked it and thought it would be great to grow it in the UK – back in 2005 this was a new product. 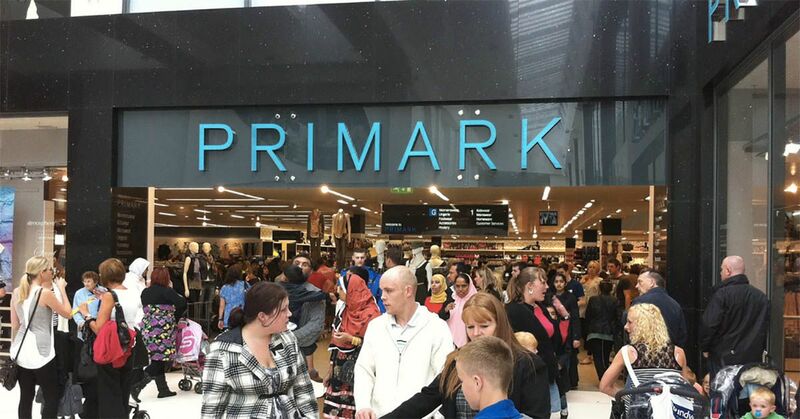 I thought the benefits of it were so good that I decided I wanted to grow it myself and market it in the UK to get people to know more about it. The fortunate thing is that since I started, it’s grown in its own right so I didn’t really need to do much marketing myself in the end. 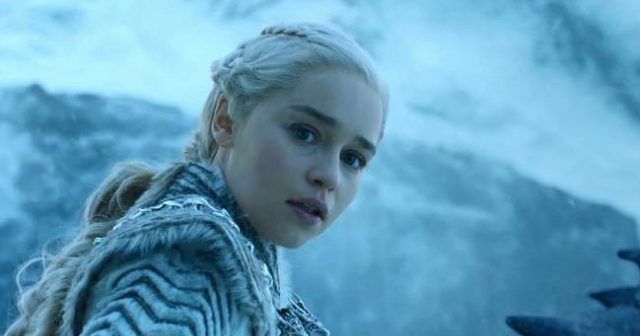 Because of this, it wasn’t so much a challenge trying to market it as it was actually trying to grow it, because the product really sold itself. What challenges did you come across when you started the company? 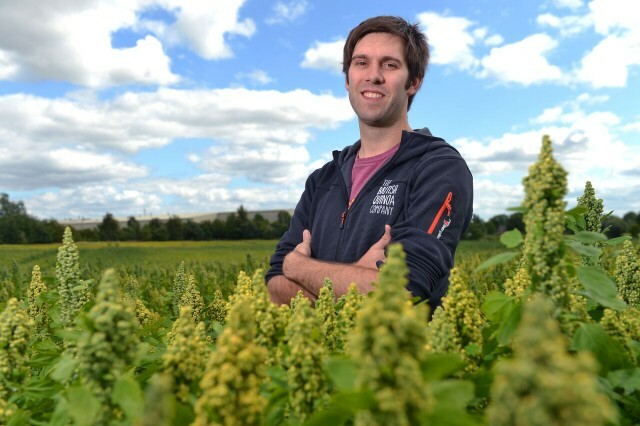 The main challenge was being able to find a good variety of quinoa that would grow in the UK, and not only that but to produce a good quality grain. You can get a lot of varieties to grow, but most of them won’t ripen or will just produce a poor quality grain, so once we’d sorted that it made the whole business viable. The reason behind growing it in England is to create something traceable, so that people can see exactly where it started before it ends up on their plate – that’s why finding a variety that grows here was so important. Why do you think quinoa has become so popular recently? It’s grown in popularity due to the health benefits. It’s primarily due to the high level of good quality protein and the high mineral content, but it’s also low GI – so it doesn’t spike your blood sugar like rice does. It’s got more nutritional value and less empty calories. Did you come up with the idea at uni? Yeah. I actually took part in a business competition when I was at Nottingham and I won, so from that I got a little bit of money and some time with a business advisor. The best thing about it is it made you put a business plan and a cash flow together, so if I hadn’t done it I probably would’ve done this in a much more lax way, if I’d even done it at all. I think those sort of competitions are a great way of doing things. It’s definitely worthwhile seeking help while you’re at uni – they want you to succeed so it’s in their best interests to actually help you. 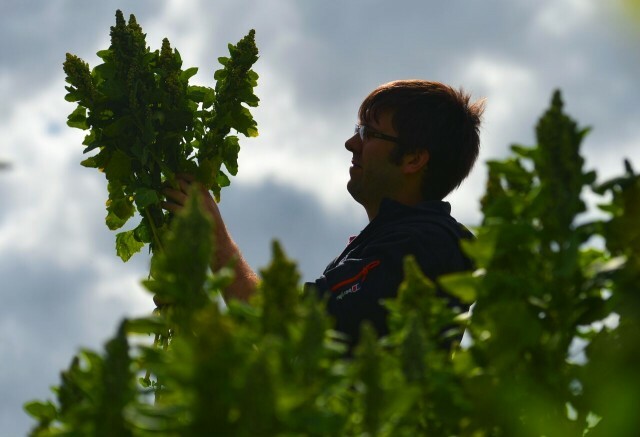 What’s next for British Quinoa? I want to try out some new product development. At the moment we’re growing the white variety, we’d like to be growing black and red as well. I want to branch out into products like quinoa flakes and quinoa flour, those are the ones I’m excited about because you can make healthier alternatives to normal dishes – quinoa flakes instead of oatflakes, for example. Finally – what’s your favourite quinoa dish? 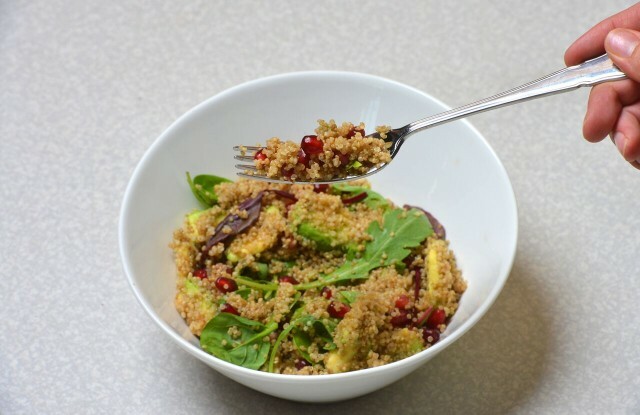 My favourite dish to rustle up is a combination of avocado, pomegranate, lime and salad leaves, all mixed in with quinoa. 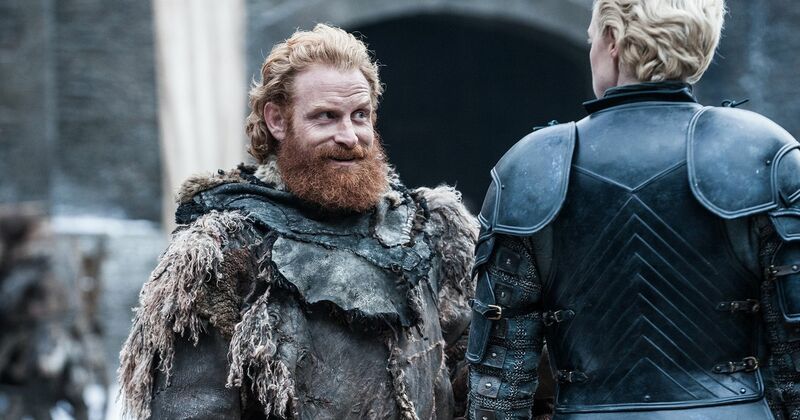 That’s my favourite – I cook it all the time.